You can check the code in my Github here. 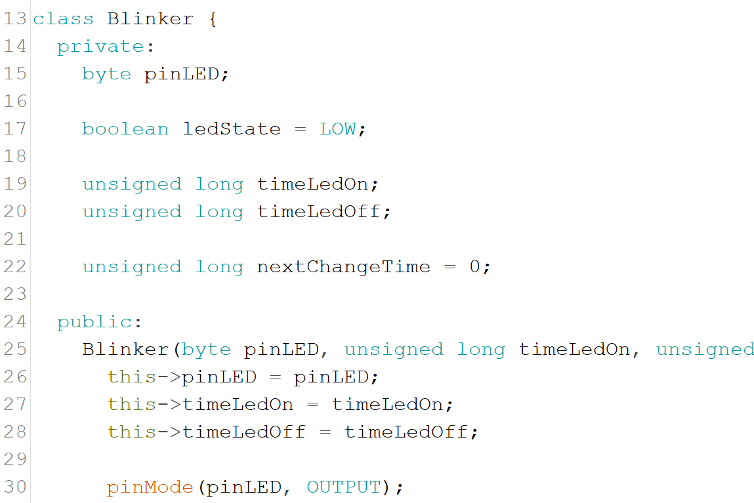 What the code does is almost the same as the Blink Code (File >> Examples >> 01.Basics >> Blink) but what it does differently is that it lets you Blink many LEDs with different On and Off times simultaneously. I will not tell you how to create C++ Classes in this post, I shall write another post about it, but I will point out some rules you need to follow for your C++ Classes to compile properly in the Arduino IDE. Unlike functions, you cannot define a Class after you use it. Functions can, but classes cannot. The correct sequence should be like this. I have been experimenting with Arduino IDE Tabs and noticed that it compiles in the order of Left to Right. What I do is that I put my setup and loop function on the _main. I use specifically the underscore (_) in the tab name so that it would be forced to go to the rightmost side of the tab list. This is also where I declare variables where I use my defined class. If the Class Definition is made on the tab to the right of where the setup or loop function is located (or where the Class Variables are declared and used) the compile will fail. Those are the two rules that I find that limits the usage of Classes in the Arduino IDE without creating a library. Below is the diagrams for you to test the code that I have done. There is also a video that the program is working. My intention is to modify these times through a “mqtt publish message”, so I have to give the blink1.check() statement the parameters of the “ON” and “OFF” times. 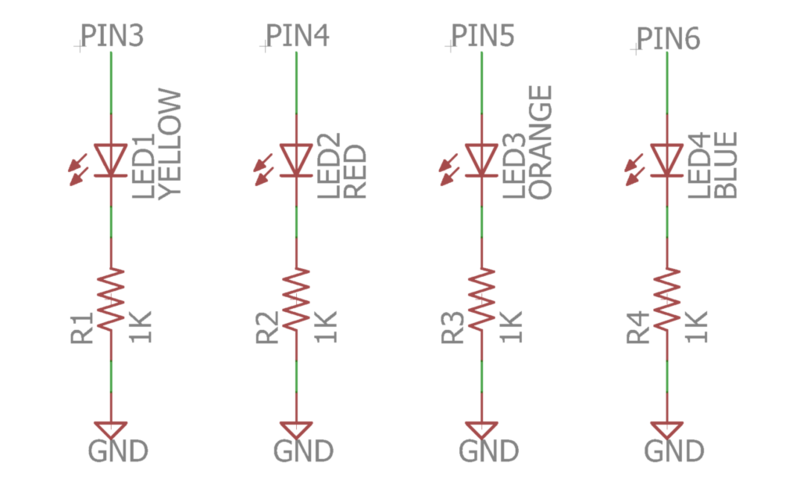 The PIN_LED1 can be an integer because it is a fixed address belonging to blink1 instance. Are you able to help me out to solve this question,. Hey Piet, glad to have helped you over email. I hope your project is doing well. Thank you very much for your post. I just wanted to let you know that it help me a lot. However – I could not make it work when I tried to combine you setup where you keep methods in helper files. Any experience with that combination? Hi Joachim, if I understood your questions correctly. Try putting the definition of your Class on the leftmost tab. Put your setup() and loop() function on the rightmost tab. 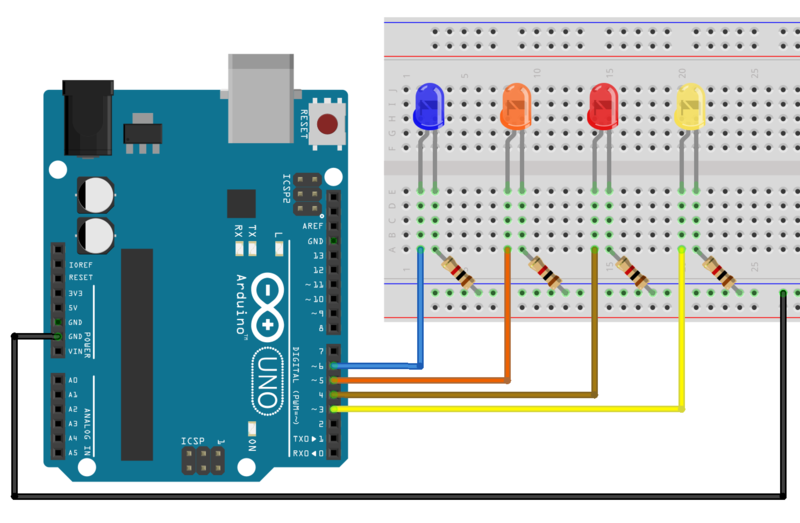 Arduino compiles the tabs from Left to Right. Hi. I have not yet tried to compile for arduino, but regarding instantiation before having a class definition – that’s an expected c++ behavior. You cannot create or use a class object or use its member functions before you define them. However, you still can create a pointer of a class type, having a forward declaration for your class beforehand. The reason I am ponting that out is that you mention it as a “arduino-related” rulles for using classes, but this rules are general for the C++ itself. Thanks a bunch, it was exactly the little tutorial I was looking for. But I did a little tweak. By moving the nextChangeTime to public one can move the check to the main loop “if (currentTime > blink1.nextChangeTime) …” and just invoking the blink part when needed.